Getting to know Ernest and Lisa Jimenez. 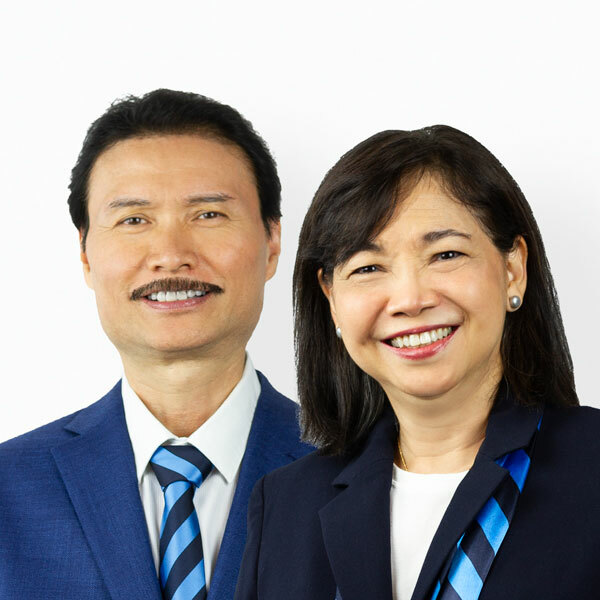 Ernest and Lisa are a husband and wife Real Estate team, which give their clients a two-for-one package. The advantage of working with a husband and wife team is that they can give two different perspectives when working with clients. They both have personal and professional skills that complement each other. Ernest has a Bachelor of Science in Construction Management from Cal Poly San Luis Obispo. He also has numerous sales experiences including one with Ford. Lisa has a Bachelor of Science in Nursing and has worked for decades at Childrens Hospital Los Angeles. Both have lived in Los Angeles and Pasadena most of their lives and currently live in Glendale. They are very familiar with the Real Estate market in the Los Angeles area. They are members of National Association of Realtors, California Association of Realtors and Pasadena-Foothill Association of Realtors. Their commitment to their clients is based on trust, honesty, transparency, and integrity. Their goal is to make sure that their clients are confident that they are dealing with professionals who will put them at ease and achieve the best outcome for them. From the first handshake to the final closing, they are there to provide their clients with the best service and seamless transaction throughout their selling or buying experience. They want to keep a relationship with their clients that will last for many years. A Selection of Lisa Saspa's Recent Sales.